As the world is deceived into worshipping the 'god' of Abraham (a consuming fire) and allows its children to be baptised in fire by Jewish priests who currently control the Vatican and its Rites, I thought it would be worthwhile to explain the dangers of fire for those who still remain deceived by the god of the Old-Testament. Not to beat a burning bush, but it should seem apparent to the non-theologian that fire has more to do with the god of Hell than the God of Heaven. And it does. Christ is the God of Heaven, the Old-Testament “Lord” is the god of the damned, speaking through a burning bush to an Egyptian Freemason named Moses. This fire god which was once avoided by the Church has become the god of Protestants, Muslims and Jews, who are eternally stuck in a constant state of theological confusion. 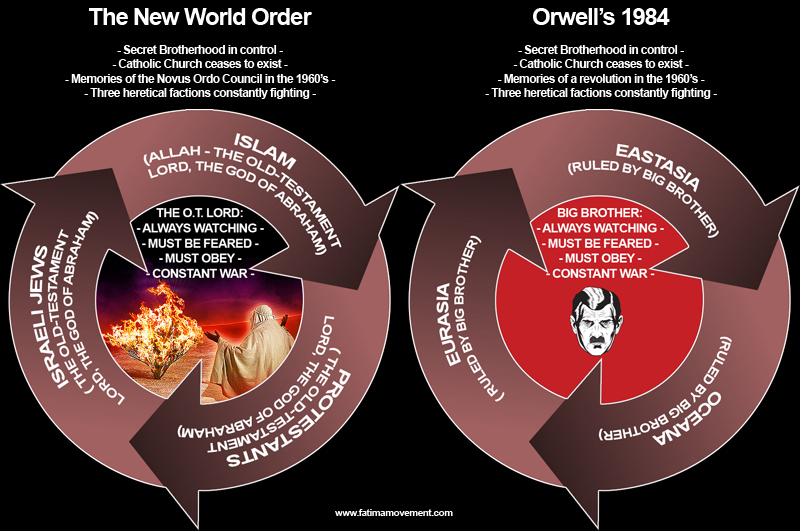 This control mechanism (the lord and its laws) was also alluded to in the Illuminati novel, 1984 by George Orwell. 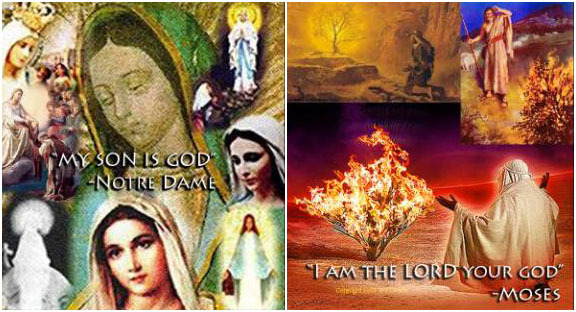 Our Lady of Fátima came to warn the world about the Catholic Church falling into this fire worship in 1917, and gave specific instructions to save yourself from this end-times deception. As a Catholic trying to remain above the fold of this Babylonian Religion, the Mother of God recommends not baptising your children with fire. Below is a scene is from the 1972 film “The Godfather” called “Baptism by fire”, which depicts Michael Corleone's nephew being anathematized with the non-Catholic Rite, a curse which causes the once powerful Catholic family to fall apart throughout the Godfather Trilogy. The Iilluminati's New World Order process is simple- infiltrate the Catholic Priesthood, administer invalid baptisms of fire, then shuffle the goyim off into one of the Abrahamic fire religions like Protestantism, Islam or sub-Rabbinical Judaism which can't save them from the fires of Hell. This leaves them unprotected by the Holy Ghost, to be used as goyim or cattle, as human worker-slaves for their entire lives, obediently serving Masonic banks and their corporations. Then after a lifetime of goyim service to the Jews and their money-god in this life, the goyim are sentenced to eternal slavery in the fire of Hell where their Jewish-Masonic gods reign over them for an eternity in the pyramid structure of Hell. Since a fire was their god in life, a fire will be their god in the afterlife. Everyone gets what they want, so choose wisely. This has been another friendly Public Service Announcement from the Fátima Movement and Mr. Nobody about fire worship in these last days. Please forward this editorial to any Vatican II Catholics who remain in the dark.